Ted was appointed as a director of MG Corporation in May 2017. He has extensive corporate governance experience, having held a number of senior roles with various Aboriginal organisations and government bodies, including the Aboriginal and Torres Strait Islander Commission (ATSIC). 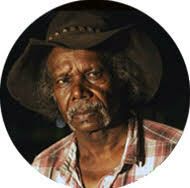 Ted is currently the Chairperson of the MG PBCs and has an in-depth understanding of native title and heritage issues. Ted is passionate about working towards MG Corporation’s vision of achieving a healthy, wealthy and culturally strong MG community and is focused on generating economic and social benefits for MG people through the effective management of MG land. Ted has a Bachelor of Applied Science from Curtin University and is a qualified alcohol counsellor.